Everyone has their own opinion on who the best pool player in the world might be. Some consider Black Widow to be the best… and some just consider her a famous pool player after appearing on shows like American Chopper. 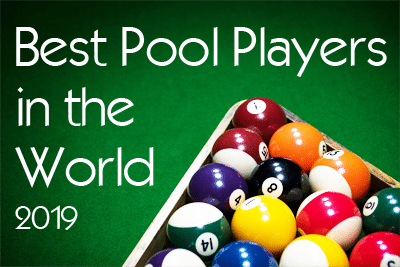 Other than the rankings by the World Pool-Billiard Association, below is a list of both professional and amateur pool players you’ll want to imitate to improve your pool game. Join the Buffalo Billiards pool leagues or call (707) 585-8992 today. Efren Manalang Reyes, OLD, PLH, nicknamed the Magician and Bata, is a Filipino professional pool player. A winner of over 70 international titles, Reyes was the first player to win world championships in two different disciplines in pool. Earl “the Pearl” Strickland is an American professional pool player who is considered one of the best nine-ball players of all time. 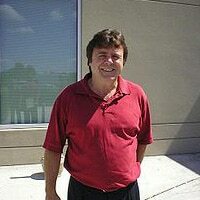 He has won numerous championship titles and, in 2006, was inducted into the Billiard Congress of America’s Hall of Fame. Allison Fisher is an English professional pool and former professional snooker player. Shane Van Boening is an American professional pool player from Rapid City, South Dakota, a former number 1 in the US rankings published by the UPA Tour. 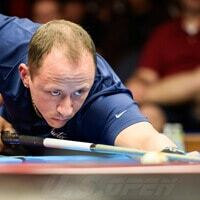 Van Boening is hearing-impaired and uses a hearing aid, but it has not limited his pool ability. 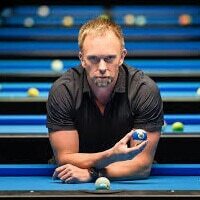 Mika Immonen is a Finnish professional pool player, nicknamed “The Iceman”. 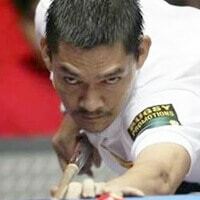 Dennis Orcollo, sometimes called Dennis Orcullo, is a Filipino professional pool player, nicknamed “Surigao” and “RoboCop”. He has been called “the Philippines’ Money-game King”. Alejandro “Alex” Salvador Pagulayan is a Filipino Canadian professional pool and snooker player. His nicknames are “the Lion” and “the Killer Pixie”. This latter nickname was given by the great Cliff Thorburn, former World and Canadian Snooker champion. Darren “Dynamite” Appleton is an English pool player, best known for playing nine-ball and ten-ball pool. Appleton won the 2008 WPA World Ten-ball Championship against Wu Jia-qing who was the former world champion in both nine-ball and eight-ball from Taiwan. Pan Xiaoting is the first-ever female professional pool player from China to play full-time on the Women’s Professional Billiard Association tour. Pan’s growing list of achievements in billiards have made her one of the most famous female athletes in her country. Jeanette Lee is an American professional pool player. She was nicknamed the Black Widow by her friends because, in spite of her sweet demeanor, she would “eat people alive” when she got to a pool table. Jeanette is an American of Korean descent. Niels Feijen is a professional pool player, from the Hague, Netherlands. His nickname is “the Terminator”. 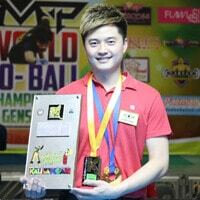 In 2014 he won the WPA World 9-ball championship. He is a three-time world champion, winning the WPA World Nine-ball Championship in 2003, and 2013, and five-time World Straight pool champion, winning in 2006, 2011, 2013, 2015, and 2018. 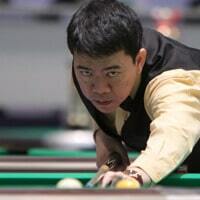 Ronato Alcano, is a Filipino professional pool player, nicknamed “Ronnie Calamba” and “the Volcano”. He won both the 2006 WPA World Nine-ball Championship and the 2007 WPA Eight-ball Championship. 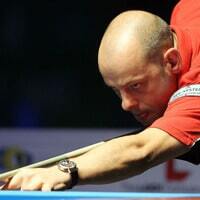 Ralf Souquet is a German professional pool player. His nickname is “The Kaiser”. Since 1981, he has won more than 500 tournament titles, including 41 German Championship titles and 34 European Pool Championships titles. Wu Jia-qing is a Taiwanese-born Chinese professional pool player. He is nicknamed the Taishan Shentong. In 2009, he obtained permanent residency in Singapore, which he subsequently turned down in 2010. Previously known as Wu Chia-ching, the spelling of his name was changed upon moving to mainland China. Kim Ga-young is a South Korean female professional pool player who plays on the Women’s Professional Billiard Association tour. Her father began teaching her to play three-cushion billiards when she was about twelve years old. 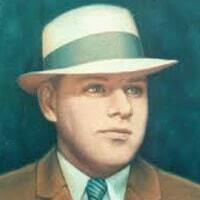 William Joseph Mosconi was an American professional pool player from Philadelphia, Pennsylvania. Between the years of 1941 and 1957, he won the World Straight Pool Championship an unmatched fifteen times. Rudolf Walter Wanderone Jr. was an American professional billiards player, also known as “Minnesota Fats”. 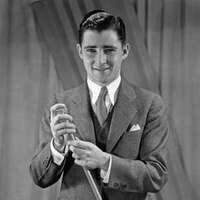 Although he never won a major pool tournament as “Fats”, he was perhaps the most publicly recognized pool player in the United States — not only as a player, but also as an entertainer. 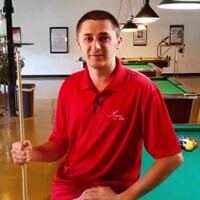 Skyler Woodward is an American professional pool player. At the 2017 World Cup of Pool, he was the runner up, alongside Shane Van Boening. Woodward has represented the United States each year in the Mosconi Cup from the 2015 Mosconi Cup to the 2018 Mosconi Cup. 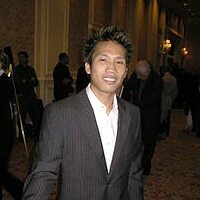 Lee Vann Corteza, also spelled Lee Van Corteza, is a Filipino professional pool player. He is nicknamed “Van Van”, and started playing pool in 1993. Daryl Peach is an English professional pocket billiards player, who now resides in Blackpool, England. 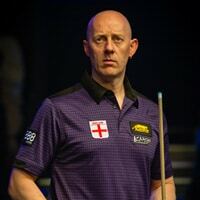 Nicknamed “The Dazzler,” he defeated the Philippines’ Roberto Gomez in 2007 in Manila, Philippines to become the first Englishman to win the WPA World Nine-ball Championship. Albin Alois Ouschan is an Austrian pool and billiards player. Ouschan was the 2016 WPA World Nine-ball Championship winner, as well as the runner up in 2014. He also won the 14.1 Continuous European championships the same year. 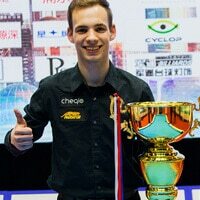 Ouschan is a multiple time Austrian champion in 8-ball, 10-ball, and straight pool. Kelly Fisher is an English professional pool and snooker player. Ko Pin-yi is a Taiwanese pool and card player. In 2015 he became world champion in the disciplines of 10-ball and 9-ball. 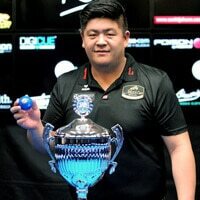 Pin-yi defeated Carlo Biado in the final of the 2015 WPA World Ten-ball Championship, and defeated Shane Van Boening in the final of the 2015 WPA World Nine-ball Championship. 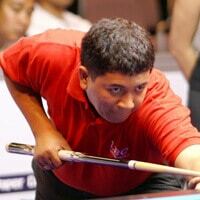 Warren Kiamco is a Filipino professional pool player from Cebu, Philippines. He is known for his performances in the Southeast Asian and Asian Games. 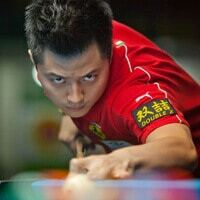 Kiamco was a runner-up in three events of the Asian Nine-ball Tour but never a champion. He also finished 3rd in the World Tournament on two occasions. Jasmin Ouschan is an Austrian professional pool player from Klagenfurt, Carinthia. Her first professional competition occurred in 2002, but she did not officially become a professional member of the Women’s Professional Billiards Association until 2007. 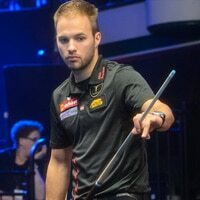 Joshua Filler is a German pool player from Bönen, Germany. In 2018 Filler defeated Carlo Biado 13-10 to win the 2018 WPA World Nine-ball Championship. The same year he was the youngest player to win the China Open and 2018 10-ball European Pool Championships. 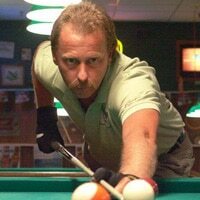 Allen Hopkins is an American professional pocket billiards player, professional billiards color commentator and BCA Hall of Fame inductee. He promotes multiple annual pool events and still competes as a professional contender. 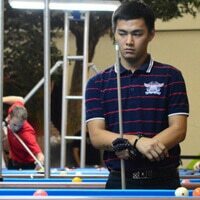 Johann Gonzales Chua is a Filipino professional pool player from Manila. His nicknames are “Bubwit” and “Bad Koi”. Ronnie Monroe “Fast Eddie” Allen was labeled as a pool “super star” in the prime of his pool-shooting career by his peers during pool’s golden era. He was an American professional pool player. 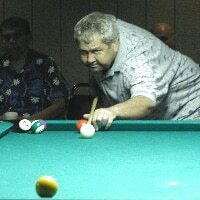 For several decades from the 1960s to 1980s, Allen was the most dominant one pocket player in the world. Ko Ping-chung is a Taiwanese 9-ball pool player. Ko is the younger brother of Ko Pin-yi. Rubilen “Bingkay” Amit is a Filipino female professional pocket billiards player. Amit is the first Filipino woman to become a world pool champion. Yukio Akakariyama is a Japanese pool player. In 2011, Yukio won the WPA World Nine-ball Championship. 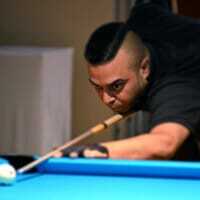 Imran Majid is an English professional pool player. Majid is of Pakistani descent as his parents are from Lahore, Punjab. Majid, whose nickname is “The Maharaja”, was winner of the 2007 Weert Open and the Italian Euro Tour event in 2006. He made his Mosconi Cup debut in the 2006 edition in Rotterdam. 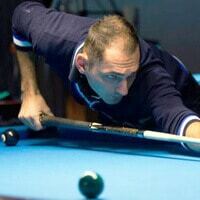 Mario He is an Austrian professional pool player. He is a former winner of the European Pool Championships, and winner of the 2017 World Cup of Pool alongside Albin Ouschan. 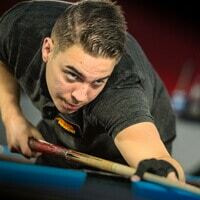 Francisco Sánchez Ruíz is a Spanish professional pool player. Sanchez is a Junior world 9-ball champion, defeating Jesse Engel 11-6 in the final. In 2016, he would win his first major championship, winning the 9-ball event at the 2016 European Pool Championships. Sanchez would defeat Joshua Filler in the final, 9-3. Gerda Hofstatter, nicknamed “G-Force”, is a professional pool player and nine-ball champion. 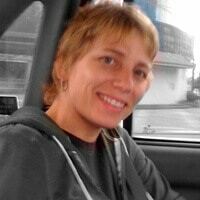 She won the WPA World Nine-ball Championship in 1995, ten-time European Champion, 1997 U.S. National Champion and won the Austrian Championship seventeen times. 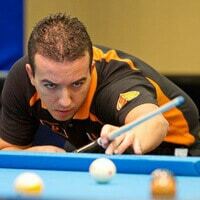 David Alcaide is a Spanish pool player. During the 2006 Men’s World 9-Ball Championship he survived the group stages, the round of 64 and the round of 32, but was eliminated in the round of 16 by Rodolfo Luat. This performance secured him a spot in the 2007 edition. 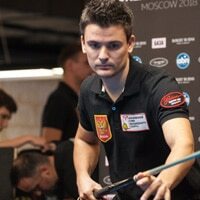 Konstantin Stepanov is a Russian professional pool player. In 2002 he was the Russian 8-ball champion. 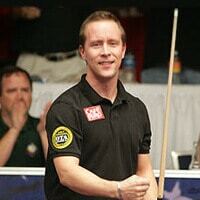 During the 2006 WPA Men’s World Nine-ball Championship he survived the group stages, the round of 64 and the round of 32, but was eliminated in the round of 16 by Ralf Souquet. Vilmos Földes is a Hungarian professional Pocket billiards player. 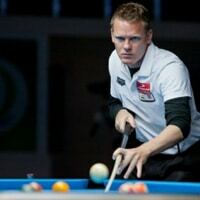 Based in Pécs, Hungary’s fifth-largest city, Földes competed in the 2006 WPA World Nine-ball Championship in which he survived the group stages and the round of 64, but was eliminated in the round of 32 by Luong Chi Dung. 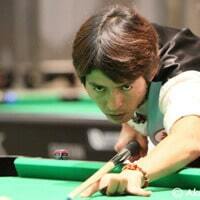 Yang Ching-shun is a Taiwanese professional pool player, nicknamed “the Son of Pool”. Yang won the nine-ball event of the 1998 Asian Games against then World Pool champion Kunihiko Takahashi. He defended it in 2002 against Warren Kiamco. 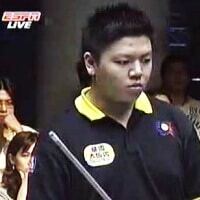 Marlon Manalo is a former Filipino professional pool player from Mandaluyong City, Philippines. He is currently the League of Barangays of the Philippines Press Relation Officer and ABC president. 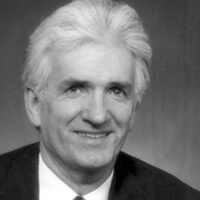 Robert Byrne is an American author and Billiard Congress of America Hall of Fame instructor of pool and carom billiards.